Well it's Monday again, so let's just get right to it!! I hope your weekend was fabulous, every weekend is isn't it? Shall we skip all the usual chit chat and go straight to the polish? 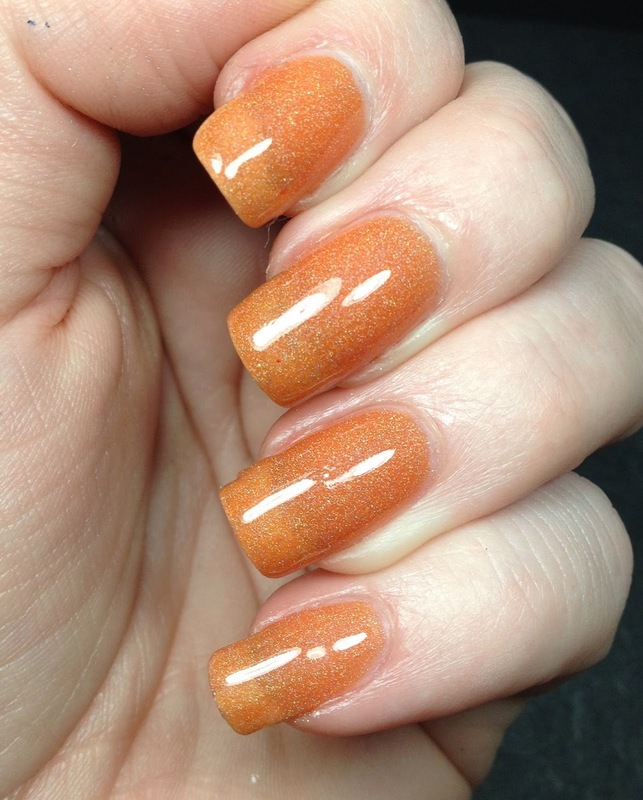 Today is another installment of the thermal holos from Luscious Potion. Let me say this right now, this color is bad on me. I know it. But I was willing to give it a shot. I just don't have the right skin tone for it. No biggie. The polish itself was just fine. 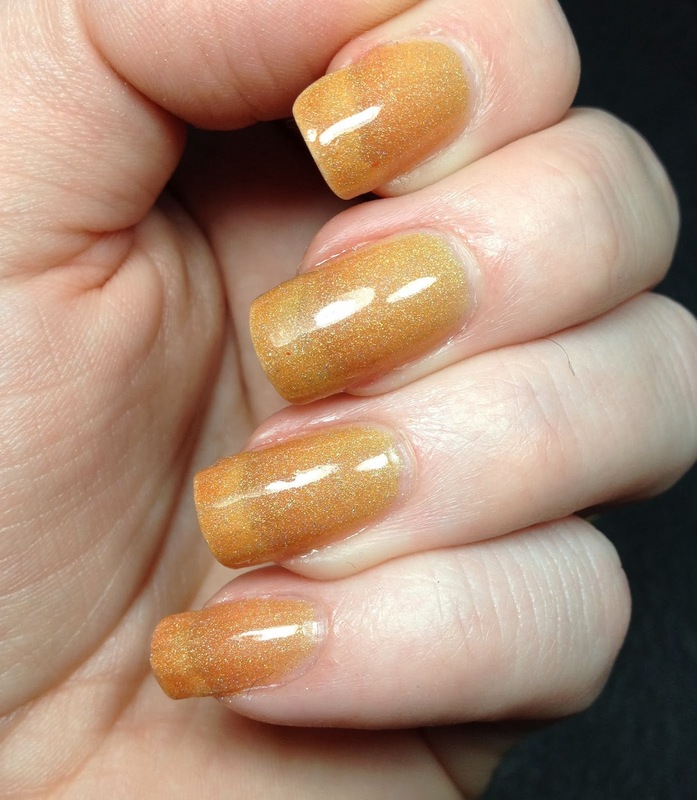 It took three coats to get to the opacity that you see here. This is three coats of Rising Shine by Luscious Potion over Duri Rejuvacote and topped with Glisten and Glow HK Girl topcoat. These two photos show Rising Shine in it's cold state. Here is Rising Shine almost fully transformed to it's warm, yellow state. This shot is a mix between warm and cold. It's not quite warm but not fully cold either. So there we have it, another Luscious Potion in the books. I wouldn't of normally thought about these two colours as polishes, but they are stunning. I love them!